As the reversal candle is burning during the upcoming reversal and protection ritual, I will be burning the bark removed to make my baresman (ritual wand). Tree bark in Hebrew is קליפת העץ. Thus, the words and kavanah of the ritual will ascend to the crown to witness on my behalf. The word מענה is found translated as dwelling place in Devarim 33:27. The ancient G-d is a dwelling-place, a support are the arms everlasting. He drove out the enemy before you, by His command: Destroy! This a good pasuk for a ritual aimed to remove the power of enemies from my life. I made a wand tonight from a twig of lilac. It was shaved of bark under the night hour influence of the Sun (accomplishment) and completed under the night hour influence of Venus (grace and fruitfulness). A ritual wand made of a sacred twig or bundle of twigs is called a baresman (Phl. barsom). According to Kotwal and Boyd, the baresman is an "ancient Indo-Iranian emblem of seeking the Holy", and it "establishes a connecting link between this getig [material] world and the menog [spiritual] realm. The barsom is, as it were, the conduit through which the archetypal principles and powers manifest their presence and receive the offerings." It is also an instrument through which one acquires the sacred power. It is also a conduit for channeling the power outwards, and thus is a prototypical 'magic wand'. Transliterated into Hebrew letters, baresman contains the shorashim באר סמן, meaning to clarify and to move from darkness to light (באר) and to designate, mark and determine (סמן). My baresman is 26 centimeters in length. Lilac is a feminine botanical corresponding to the planet Venus and the element of water. The powers attributed to it include exorcism and protection . Usually the fast of Esther is on Adar 13. However, this year Adar 13 falls on shabbat, so the fast day is observed on Thursday, Adar 11 (this year). With the fast of Esther moved to Thursday, Nicanor Day, a feast day, can be observed Adar 13 if one so chooses. Nicanor Day celebrates the beheading of Nicanor, the master of elephants, who fought against Judah and the Maccabees. And Judah hung the head of Nicanor from the citadel as clear and evident proof of the help of the Lord. (Second Book of the Maccabees) Think so? Wasn't the Temple destroyed 231 years later? 231 has a digit sum of 6. Six is the value of the truth of the matter. Nicanor was a Syrian general of the Hellenistic persuasion who battled Judah and the Maccabees at Beit Horon in 161 BCE. That was three years after the Jewish victory over King Antiochus that brought us Chanukah. The battle against Nicanor took place of the 13th day of Adar — the day before Purim. In 66 CE, the Jewish population rebelled against the Roman Empire. Four years later, in 70 CE, Roman legions under Titus reconquered and subsequently destroyed all of Jerusalem, including the Second Temple. Nicanor was a master of elephants. Elephants are significant to Purim and symbolize G-d's greatness . Consequently, Judah "beheaded" the one who brought down the greatness of G-d into creation. Not good, Judah. I think the link to the destruction of the Temple is clear evidence that the Lord thought differently about Nicanor and Shimon than did Judah. Nicanor was a rectifying force for Shimon. Nicanor's destruction led to the degeneration of Shimon and to the destruction of the Temple . Consequently - wonder of wonders - I actually agree with the rabbis on this one. While I will note it's passing, Nicanor Day is not one I will "celebrate". The degeneration of the power of Shimon leads to the destruction of the Temple. Tonight I will blend the magickal ink I will use in petition spells to be under the influence of peace. Peace implies comprehensive balance and hishtavut. After sundown, it will be "Thursday", according to the Hebrew calendar. Thursday is under the influence of the vowel shurek, the Hebrew archetype Aaron and the Celtic archetype Lugh. Shurek  corresponds to the sefirah Yesod, the vessel of peace. Aaron, as a priestly archetype of peace, corresponds to the sefirah Hod. Hod corresponds to the Temple and to the "power of the soul which causes negative phenomena to disappear while simultaneously causing positive phenomena to appear." As I've written previously regarding Lugh and the 37th chanukah light, the specifically Welsh-Celtic name of Lugh is Lleu Llaw Gyffes, Lleu Strong Hand, where the name is etymologically derived from a proto-Celtic compound conveying the meaning "flowing vigor" and "flight, flying, soaring". This latter meaning of Lleu Llaw Gyffes links back to the function of Aaron, who kindles the lights of the Temple menorah and causes them to ascend. Among Jupiter's influences is peace. Consequently, I will blend my magickal ink during the sixth night hour tonight. The sixth night hour was also the favorable time to perform the Simple Moses Spell. It may be that the sixth night hour is a personal power time for me. So mote it be. While most ink recipes call for the resins to be steeped and dissolved in alcohol, I'm choosing to also add a small undissolved chunk into the ink as well. The dissolved portion will blend into the ink, while the undissolved portion will form a "foundation" within the ink. It will also be symbolic of being both in (immanent) and out (transcendent) of the world simultaneously - in velt ouis velt. **70% isopropyl rubbing alcohol used in actual preparation of infusion. I have amended the reversal and protection ritual to include recitation of Tehilim 91, instead of Tehilim 37 as originally planned. It's a matter of Divine Providence (ע) which leads me to do it, as discussed in the previous entry, Shelter Of The Most High. According to the Radak (Tehillim, 91:1), Moshe composed this tehillah in honor of the tribe of Yissachar, who were constantly immersed in the joyous song of Torah. What is the joyous song of Torah? It is shirah, the song of the soul, for, just as the angels are constantly singing praises of G-d and His world, so, too, do our souls sing praises of G-d as well, all the time. According to the Talmud (Shavuos 15b), this psalm is called the "Song of the Plagues," because, one who says it and trusts in G-d -- one who takes refuge in the shadow of the A'lmighty -- will be saved in times of danger. According to the Radak, Moshe Rabbeinu dedicated this tehillah to the Levi'im, who spent their days in the insulated environment of the Temple -- a true "fortress" of G-d. It was composed the day that the Mishkan was completed, and the Divine Glory descended to envelope it, into which Moshe entered to receive communication from G-d.
Tehilim 90 - 100 are attributed to Moshe. Important to note, the shoresh לנן has two letters nun in it, yet it doesn't "begin" with a letter nun. It begins with the letter lamed ל, symbolizing "a heart that understands knowledge" (lev meivin da'at). Thus, the shoresh לנן is the tikun of one of these eleven negative forces. It is fitting, therefore, that I recite Tehilim 91 instead of Tehilim 37 in my reversal and protection ritual. The shoresh לנן is similar to the shoresh לבן of Levanon. The difference between them is the core letter of the root. The central letter nun נ of לנן kabbalistically corresponds to one's messianic spark and thus, to the soul level of yechidah. The central letter beit ב of לבן kabbalistically relates to one's purpose in creation - to make a Divine Dwelling Place in this lowest world. The root לנן means dwelling. The root לבן means purifying. Consequently, we can see that while the letter beit pertains more specifically to the directive to make a Divine Dwelling Place, the letter nun pertains more specifically to fulfillment of that directive. In a previous post, I wrote regarding the connection of ayin-Bala Lake to the murder of Erez Levanon, noting the phonetic Hebrew root of "bala" (BLA) to be בלע which means to "swallow completely" and "calamity striking" . I also noted the general Celtic derivation of "bala" to be from the word "belago" meaning the efflux of a river from a lake. However, the Welsh form of "Bala Lake" is actually "Llyn Tegid", meaning "Lake Of Serenity". I use tarot cards based in Welsh mythology. So, in my tarot reading, the Tower tarot card brought out for me serenity (according to the Welsh meaning) as opposed to calamity (according to the transliterated meaning of BLA). These Hebrew roots (as opposed to בלע) are determined to be correct correspondences for Llyn Tegid (and the Tower tarot card) because they reflect reality as it unfolded for me from the tarot reading and because they reflect the implied meaning of the words and tarot archetype, namely, protection and serenity amidst great change and chaos. I previously noted some connections between the brutal murder of Erez Levanon and my third tarot reading of Adar 7th. These noted connections were strikingly similar in a sympathetic way - ayin/Bat Ayin and bala/Bela. I've found another sympathetic magickal connection between the two events. Yet, this particular connection is opposingly sympathetic. It is a clear point of distinction and a point of chaotic bifurcation . In my tarot reading, the "outcome of the matter" (in position 10) as it pertained to my situation came up to include "a period to incubate the future". The meaning of this phrase can be decribed by the shoresh זמר, which generally means "to energize before final emergence" . In other words, the shoresh זמר can meaningfully describe a "period in which to incubate the future". More significantly, twig זמורה is from the root זמר. The first name of the murdered man is Erez ארז, meaning cedar. 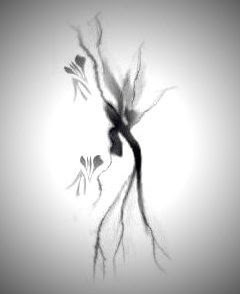 In Ta'anit 20a, twig and cedar are found together with respect to the heart. Ta'anit 20a instructs us to have a soft heart like a twig and not to have a hard heart like a cedar. While I didn't know Erez Levanon, he was known as a gentle man. Consequently, the "hard heart" (cedar) sympathetically opposing "soft heart" (twig) connects to him through his name (as opposed to any negative character trait). Interestingly, that Erez was indeed a gentle man was also confirmed in my tarot reading - in position 4, which indicated that my subconscious was somehow in communication with a "visionary gentle man". Our destinies were subconsciously linked for some reason, and that information was brought out during the tarot reading, along with all the other connections, before the man was brutally murdered. In chaos theory, a bifurcation is a point of radical divergence with the potential to reshape the entire world. 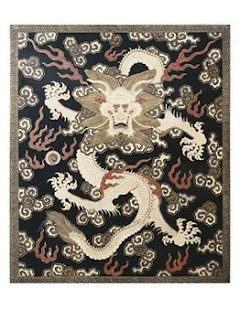 Imperial Dragons; dragons with five claws instead of the usual four"
After acquiring these oils, I looked up dragon mythology and symbolism. Interestingly, in my dream this morning, the ideas and symbols of guarding, ruling the wind (sailing), a deepening ocean and protecting were all present. A resident of Bat Ayin, in Gush Etzion, was stabbed to death Sunday evening not far from his home. The victim, Erez Levanon, 42 and father of three, was found late last night in an abandoned village near Beit Omar, some ten miles south of Jerusalem. Eliyahu Mendelovitch, a neighbor of the victim who participated in the search and retrieval of Levanon's body, told Arutz-7 that the murderers most likely waited in ambush for him. Erez often went to the same spot at the same time each day to pray alone, in the custom of Breslover Hassidim. Erez was also a talented musician, who "did wonders with his music and lyrics. He put out a disc that is unlike those sold in stores; something very unique." The Maariv NRG Hebrew website article on the murder includes a link to hear the song "The Heart and the Well," written and composed by the victim. Erez spent the last seven summers in India - first in Manali and afterwards in Bela - meeting with young Israelis seeking to "clean their heads." "What he managed to do there was simply amazing," Yosefi told Radio Kol Chai. "I always wondered where such a talent came from... He had a special strength of faith." We are all connected in the web of life. Adar 7 seems to be connected to ayin ע and Bela, as well. The only card (the Tower) from the major arcana which fell out into my Adar 7 tarot reading concerned both ayin and Bela (Bala Lake symbolism of the Tower card). My tarot reading occurred as Adar 7 had begun. The man's brutal murder occurred as Adar 7 concluded (approximately 6:00 pm Sunday). Ayin and "BLA" connected them - although I'm not sure how or why. Nevertheless, a small connection exists, so I am documenting it. Another point of connection - while neither Bela nor Bala (of Bala  Lake) are rooted in Hebrew, and are of the Indian and Celtic languages, respectively - the phonetic Hebrew root of "BLA" is בלע which means to "swallow completely"  - just like in my dream early this morning where an adversarial ship was swallowed up completely by the sea. I posted the dream early today (unusual for me) because I was up getting ready to take my father for a medical checkup. Bala is derived from the Celtic “Belago” meaning the efflux of a river from a lake. In Indian-Hindu Sanskrit, bala means "young". Etymological Dictionary Of Biblical Hebrew, R' Matityahu Clark; the Hebrew root בלע can also mean "calamity striking". Note: Chicago Sun Times reported Sunday that a 330-foot deep sinkhole in Guatemala opened up this past Friday, killing at least 3 people and swallowing up a huge chunk of populated land. It was the middle ages. I was the captain of a sailing vessel, a ship like the pilgrims might have sailed in. My crew and I were in port for some sort of court hearing. The details aren't exactly full, but it seems that we were sent back "out to sea" for some sort of "decisive" test. We sailed out onto the deep sea. The whole crew was working amazingly in unity, I as an observer on the ship noted and remarked to me, the captain. Even the ship cat was working to make the ship sail well! Suddenly, the atmosphere went still. Something was about to happen. Everyone perked up. Again suddenly, the sea surface around the ship sunk low and collapsed into the sea! Simultaneously, I then somehow saw that an "adversarial ship" was also in the area. It had also been caught in the collapsing place of the sea. I lept into action as captain of my ship and instructed my crew regarding how we were going to escape being sucked down into the ocean. The crew followed my instructions perfectly and we escaped as I had outlined we would. As we were fleeing the scene of the sinking ocean, I saw the adversarial ship overtaken by the ocean sinkhole and swallowed up by the sea. My ship arrived onto the shore of a tropical island. My crew and I warned the islanders of a possible tsunami. I sat and watched from the island shore, on guard. The tsunami never came. I watched as the "waves from the event" finally made it to shore. They were no bigger than normal surf and completely harmless. Tonight's Adar 7 tarot reading is the third reading I've done on myself. The results of the first (02/05/07) and second (02/13/07) readings have been posted previously. Reading recorded as performed at 11:11 pm, using the traditional Keltic spread. Deck moved through the smoke of Dragon's Blood incense prior to reading. Deck rests covered with witch's jewels on altar not in use. Only one card, the Tower, from the major arcana fell out into this tarot reading. The Tower, corresponding to the Hebrew letter ayin, by virtue of being the only card from the major arcana, acutely focuses the reading on the concept of Divine Providence. In other words, my destiny is being Divinely directed and driven. The Tower card is pointedly highlighting this fact. There are 3 wands, 3 cups and 3 swords. These suits from the minor arcana represent Atzilut, Beriyah and Yetzirah, respectively. Importantly, 3-3-3 is balanced in number through the universes. The 9 cards represent the letter tet ט, the vessel of peace. The significator/querent card, the Fool, corresponding to the letter tav ת, the "last" letter of the aleph-beit, represents Malchut (the "last" sefirah) and Assiyah (the "last" universe). The sole card from the major arcana corresponds to Chochmah (in tarot position 2) of the universe of Kadmon, and to Keter in the sefirotic diagram below when results are "shaped by number" as follows. Taking the values together in order, I have 1-3-3-3-1, which when spread out with dots, looks amazingly like a modified GRA configuration of the sefirotic tree. It's an unusual etz chayim, for sure. It's the modified Natural Array of the sefirot as shown in Figures 2 and 3 of Sefer Yetzirah (pp. 26, 28). The earth hangs on nothingness (Iyov 26:7) ... the whole sefirotic diagram here "hangs" from the letter "ayin", from the only card of the major arcana. As mentioned in the previous post, the Torah source of my chotimah is found in parashat Tetzaveh (Shemot 28:36), in the phrase pituchei chotam פתוחי חתם. Pituchei chotam has a total gematria of 952, a digit sum of 16, and a final digit sum of 7. Seven is the value of the letter zayin, where zayin represents both the woman of valor and the King's sceptre of selection. As Purim is soon upon us, the phrase for "golden sceptre" in Esther 8:4 is שרבט הזהב. From the root שרב, the spelling שרבט for sceptre as found in Esther implies "dry heat" . Normatively however, sceptre is spelled with a letter yod in it - שרביט. The letter yod is the kabbalistic source of chochmah, and associated with water. Thus, the addition of the letter yod to the word שרבט removes the dryness associated with feminine fire and adds to it the "core" element of water, mayim מים. Consequently, the "extension of the sceptre" to Esther, is in fact, the giving of this yod to fire. It is not the extension of the yod of mayim into a vav, creating a blemish, mum מום. Neither is the extension of the sceptre the creation of a sword (zayin) of war. To reiterate, the extension of the King's sceptre to Esther is the giving over of the core masculine element of water to the feminine element of fire. Normally translated as golden, הזהב from the root זהב, can also mean well-lit and pure . Here's the form of my chotimah which has graced my profile and/or various websites for years. It's easy to see all the letters yod in this well-lit version of it. I've finally found a specific Torah "source" for my unique aleph, my chotimah! It is in parashat Tetzaveh. ANSWER: The Gemara (Ta'anit 2a) states that Hashem entrusts the tzaddikim with keys to all His treasures. He appoints them as His messengers and gives them the power to use them as they see fit. An exception to this are the keys to three treasures: 1) The power enabling birth (chayah), 2) the power to resurrect (techiat hameisim), and 3) the power to make rain (matar). The keys to these treasures are reserved and controlled only by Him. The word "pituchei" can be interpreted to mean "keys" (in Hebrew, "maftei'ach" is a key). The word "chotam" is an acronym for Chayah, techiat hameitim, matar. Thus, the Torah is implying that "pituchei" — the keys [to the treasures of] "chotam" are "kodesh laHashem" — uniquely reserved and sanctified, to be used only by Hashem Himself. The 4 heads and 3 tails also correspond to the 4 positive and 3 negative mitzvot discussed in parashat Tetzaveh, and to the zayin component of the letter chet. The 6 extremities correspond to the vav component of the letter chet. Consequently, my chotimah is not only a unique aleph made of the forms of the letter shin, it is a unique chet as well. This unique aleph of emunah represents a synthesis of the worlds of tohu (chaos) and tikun (rectification), and is a complete shin - a shinan tam (Devarim 6:7). With 4 heads, 3 tails and 6 extremities , it integrates the coming world (olam haba) with this world (olam hazeh) to draw the future to come (of Imma Ila'ah) into revelation, expression and actualization sublimated within the unity of echad. This acts to raise reality back into the realm of the holy. Baruch shem kevod malchuto le'olam va'ed. Researching defensive magick, I came across this about "familiars" in Mastering Witchcraft (Paul Huson) which sounds amazing like the magical golem of Jewish tradition. There are several types of familiars, or magistelli, to give them their more correct title. Basically, there are three types of magistellus. The third type, and to the individual witch (or wizard), most important type of magistellus is that of the magical servant. This may be a demonic entity who has been "bound" to some magical instrument such as a show stone or mirror, permanently or temporaily. It may also be an elemental creature formed by the combination of your witch (or wizard) power and some natural phenomenon. This type of magistellus becomes the protective spirit or Watcher, a magical guardian of the home. They take time to formulate, but really can prove to be of tremendous value. For unlike the general Earth spells which are effective to guard your home from general bad vibrations, to guard against out-and-out magical attack, a magistellus is ideal; it possesses a definite will of its own, the entire aim of which is to protect the house and those that dwell in it from all offensive sorcery. As such, it is really a magical type of vigilant robot, programmed solely to watch over the safety of the home. A sorcerer's watchdog, in fact. Interestingly, in Jewish tradition, the term golem (a creature created "artifically" by magical means) is also used to describe newbies to the tradition and Torah study. In other words, ba'alei teshuvah and converts are often used as golems, magistelli and familiars are used. They are "simple" people, in terms of Torah scholarship, and are eagerly looking for acceptance into a community. Consequently, they can easily be used as watchdogs and to "bide the issue" as discussed in a previous entry on Craftwork Of A Jewitch regarding lost curses, where a wizard or witch uses the uniformed to absorb the "cost" of curses that misfire or fail to find the intended victim. In my own way of thinking, a wizard or witch ought to be willing to take full responsibility for his or her magic. If he or she isn't willing to do this, then something is terribly wrong with the kavanah and/or magic of the wizard or witch, and clearly he or she suspects that the magic may have a cost that he or she is unwilling to pay. In my previous entry, I posited a connection between the occult method of casting a curse containing a spell of confusion as a component and Purim. In other words, the story of Purim can be seen as an occult duel between archetypal Mordechai and Haman. In the Purim story, Mordechai is the winner and Haman is the loser, where the life or death outcome of each is dependent upon personal merit or lack thereof. Likely, both Mordechai and Haman each considered his own perspective to be meritorious, while he considered his opponent's perspective to be utterly evil. But, nothing human is ever utterly evil. Moreover, one could posit that the death of Haman demonstrates that Mordechai the Jew was not utterly holy either. The purpose of the Jewish people is not to destroy the world nor those who populate it. Consequently, that the duel between Mordechai and Haman ended with Haman's death, suggests a failure on the part of Mordechai and Esther. Before moving on from reversals, I would like to say that while it may be the case that justice is best served by reversing harm back upon the sender, sometimes this will only cause the sender to resort to more volatile measures against you, followed by you resorting to stronger measures to repel them. This is, of course, how wars begin, and like mundane wars, the gain is often not worth the cost. Becoming obsessed with reversing curses often leads to sending them yourself and can lead to an obsessive life. Like Heathcliff of Wuthering Heights, who only returned such agonies as he received, your whole life can get sucked into a web of justified vengence. This is, to my mind, not a good way to live life or an effective way to deal with interlopers, and so I offer you counter-magick techniques aimed at ridding yourself of your enemy. We will define counter-magick as magick that is done to counteract an attack, but is not a direct protection from, or reversal of, that attack. The full range of possibilities is wide indeed, and could even include our own offensive curses. However, because this is a book geared toward protection, and there are more than enough ways to deal with these situations without generating our own offensive magick, I will forgo teaching anything meant to outright harm an enemy. We will focus on binding, confusing and expelling - all techniques that are used to get an enemy to stop focusing on causing harm without going ahead and causing harm ourselves. At this point, I will only be using the least aggressive reversal magick for protection. But, given that I will not support any escalation of what has already been occultly sent out, should I perceive any further "apocalyptic" escalation, I will not hesitate to fully bind my enemies from further harming me, the innocent, the world or themselves by persistently and obsessively trying to "kill the witch". Stop it now or be bound. So mote it be. Another way to remove an enemy working against you without bringing him or her into direct harm are rites of confusion. 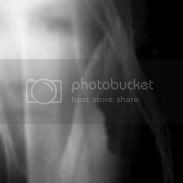 Some see this as a type of jinx in and of itself, but confusion spells have been used in hoodoo and witchcraft as protection for many, many years. When faced with an obsessive enemy who will not give up, a bit of confusion can be a tame but effective way to deal with that enemy. While Mr. Miller discusses confusion spells independent of general reversal magick, confusion may also return to sender in natural consequence to reversal magick alone, if one's enemy has, in the context of casting a curse, incorporated a "confusion spell" into the curse. Considering that a rite of confusion is a commonly known occult method of protection and/or cursing, one could posit a link between this occult rite and Purim. Three primary themes of Purim are cursing, protection-defense and confusion. While Mordechai and Esther emerged alive from the occult-induced "time of confusion", Haman did not - testifying clearly as to the underlying motives of all hidden amidst the confusion. Consequently, we can see that true clarity emerges when a curse of confusion doesn't kill the witch. Importantly, each is accountable for the "magick" he or she performs, whether he or she calls his or her magickal operations "magick" or not. More on the Moses Spell and testimony. Zayin ז - The woman of valor, the sceptre of selection. Rambam's seventh principle of faith concerns the unique nature of the prophecy of Moses. "Just as the Almighty gave our hearts and our emotions to use in order to serve Him, He also gave us our minds. In contrast, a leap of faith demands that an individual not use his intellect in serving God; rather, he should "just have faith." In the same way, Moshe Rabbeinu is the prophet in history whose authenticity was attested to, publicly, by God Himself. He is the only prophet appointed in the presence of an entire nation. He is the only prophet who was made known as such to his followers, rather than being accepted on "blind faith." Subsequently, any other prophet merits credibility only through the authority of Moshe Rabbeinu. The validity of their prophecies is based upon the definition which Moshe told the Jewish people God provided as to when an individual should be accepted by a nation as a prophet. Since a prophet's credibility is based upon the criteria revealed through Moshe Rabbeinu, the Rambam refers to Moshe as "the father of all prophets." Thus, the world knows that Abraham was a prophet only because Moshe Rabbeinu spoke to the father of the Jewish People. The world knows that Isaiah was a prophet only because he fulfilled all of the requirements that Moshe Rabbeinu communicated to the nation, in the name of God, concerning the status of a prophet. Therefore, all prophets are prophets only through the testimony of Moshe Rabbeinu, the father of all prophets." For Reform Jews, the prophecy of Moses was not the highest degree of prophecy; rather it was the first in a long chain of progressive revelations in which mankind gradually began to understand the will of God better and better. As such, they maintain, that the laws of Moses are no longer binding, and it is today's generation that must assess what God wants of them. (For examples see the works of Rabbis Gunther Plaut or Eugene Borowitz). This principle is also rejected by most Reconstructionist Jews, but for a different reason; most posit that God is not a being with a will; thus they maintain that no will can be revealed. Consequently, we can see how both the traditional and progressive views on the prophecy of Moses can be true, as zayin is "the highest" of the psycho-emotive-physical sefirot (the middot and expression) and yet, is also "just an aspect" of the chet, "the lowest" of the mochin.